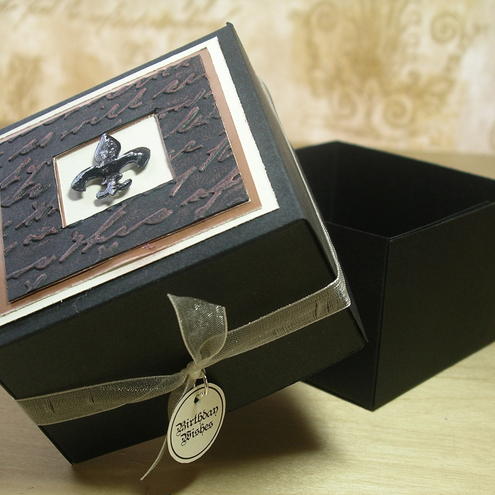 Black, Cream and Bronze Fleur de lis design gift box, measuring 3 x 3" square and 2" deep. Handcrafted from scratch, decorated with embossing, ribbon and a sentiment tag, ideal for small gifts, includes a sheet of tissue paper. Folksy :: Buy "Wooden Heart Trinket Box"
Folksy :: Buy "Coco Starry Bracelet"